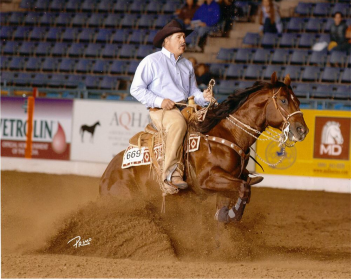 After much tribulation Taylor finally found her the perfect horse and has come so far! 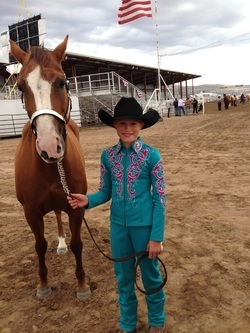 Her and "Jose" placed at the Cache County 4-H horse show in two different shows. She placed in speed events at the Box Elder County fair and she also placed in the horse show! Way to go Tay! This summer was their first year riding and our goal was to have them do one horse show. They entered the Box Elder County Fair and both of them placed in speed events. Jentry had never been around a horse when she started riding with us and the site of a horse was a bit intimidating. Jentry learned very quickly how to be the boss and how to be confident around the horses so they would know she was the boss! In just one summer she learned how to lope, run barrels, run poles, and even go over jumps!! "When she went thru the course w/o spilling a drop of water.. This was the day she told me that she "really believed that horseback riding was her 'thing'"
Karlee has been riding since she was 3 and had many accomlishments this year. 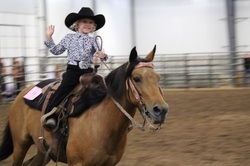 She was the Box Elder County Mini Miss Princess; and she won the Box Elder County fair horse show not to mention her accomplishments in speed events. Did really good at his horse show and speed events this year! 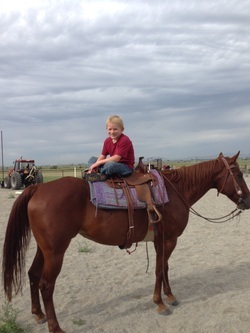 He even showed a horse who had never done it before! He placed in poles and in walk trot at the Box Elder County Fair! Dallee had her first show where she could do it by herself this year at the ripe old age of 3! She showed 'Peaches' in halter and leadline and did a great job! 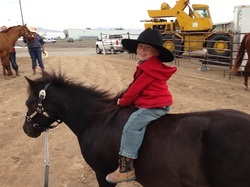 Brogan age 1 at his 2nd horse show at the Box Elder County Fair!